The World Cup is in full swing, but it’s not too late to plan that tedious World Cup bash! 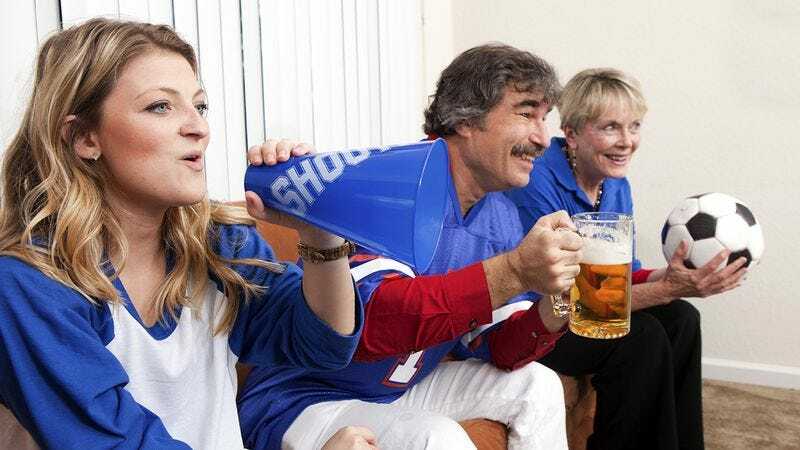 Follow these 8 easy tips to utterly transform even the most lame, unmemorable soccer viewing party into one that’s halfway tolerable. Be sure to offer a wide variety of international beers and kick your watch party up almost one-half of a notch! Before the occasion, invest in a high-quality flat screen TV and subscribe to HD channels just to let your guests know your bash will be positively middling. The World Cup is all about competition, so don’t forget to hang up flags to create a “global” theme that’ll instantly heat your party up from sort-of cool to a nice, moderate tepid. Before the big day, try to get your friends to buy matching uniforms of your favorite team and add some excitement that’ll make your party start to rival a bris or yard sale. What do people really want while watching sports? Food! Set out a sizable spread of delicious snacks and munchies for your friends and guarantee that your World Cup party will be rocking as late as 6:00 or 7:00 p.m.
Let’s face it: No party is complete without music! Prep your speakers and get your favorite celebration track ready to go so everyone can really go nuts during the one time a goal is actually scored. So you really want to make your World Cup party an evening to remember? Try putting together some soccer-themed party favors for your guest to ensure it’ll be night they never forget for at least two days or so. Wait, still looking for another way to impress your guests? Well, don’t forget: A special appearance by U.S. soccer legend Landon Donovan is a surefire way to make your World Cup bash the most thrilling and exciting “Can Miss” event of the year.